This year’s PAX West is shaping up to be quite the thing for fans of indie games. Earlier this month we caught a glimpse of its Indie MEGABOOTH lineup, and less than twenty-four hours ago, UNTIES busted out one featuring a slew of Japanese developers; including the works of Suda51 and SWERY! You better believe that’s some groovy stuff right there. As such, I suspect the highlights – and reason for many to stop by – will be the new build of SWERY’s upcoming title, The Good Life, as well as the “rare and candid talk between the eccentric creatives as they talk about their latest projects and the Japanese indie scene” (SWERY and Suda51). Hopefully that will be recorded and put up on YouTube for those unable to attend, but we’ll see what happens. 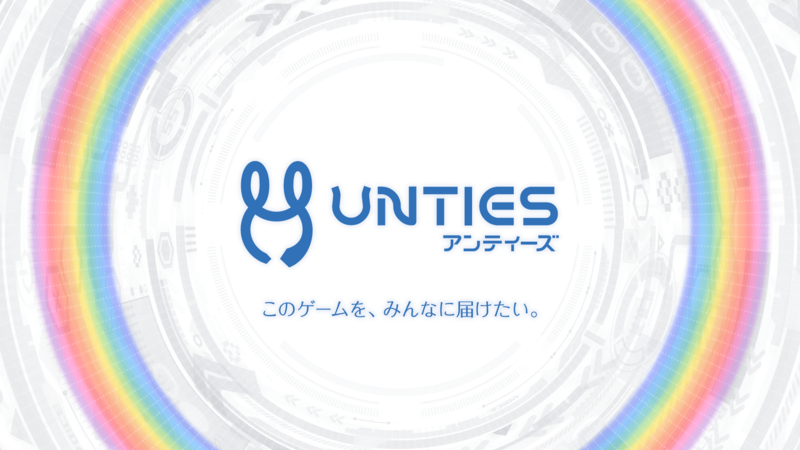 That is not to say the thirteen titles at the UNTIES booth are anything to sneeze at, as these feature rather interesting ideas and concepts – some so crazy they just might be downright amazing. I’ll let you peruse the list below, complete with trailers and links, and make up your own mind regarding that, though. Chiki-Chiki Boxy Racers includes four battle modes full of fun for all ages. Play a game of soccer on wheels in “Goal,” collect more cash than your friends in “Coins,” knock others out of the arena in “Smash” or fight a vibrant turf war in “Paint” by coating the city in color. The Necrosphere is where you go when you die, regardless of being good or bad. You don’t see other people around there, and you don’t have anything to do except to wait eternally. Soon as the player (Agent Terry Cooper) hits the Necrosphere, he learns about the portals that can take him back to the world of the living (also called Normalsphere), and his quest to escape the afterlife is set. A year has passed since the events that pitted the young Nathan Gries against the evil machinations of the maniacal Orzio and his plan to set the world on an endless spiral of conflict and war. Through much bitter sacrifice the forces of Artemisia, and their allies Zipang were able to bring about a period of much needed peace to the world. However, things would not last, as a new deadly enemy brings their fangs to bear on the once again peaceful nation launching a swift and deadly attack on an remote Artemisian military base. Who are these mysterious attackers? And what are their goals? Captain Nathan Gries and his steadfast allies must once again muster for war. Legend tells of a door deep below Tokyo’s sewers. All who enter are lost forever. Detective Ito’s partner is missing. Explore Tokyo and uncover the darkness that lays beneath the streets in this point and click meets visual novel narrative adventure that questions the very core of Ito’s sanity. Has the Saint of legend come to this mountain village to bring salvation… or to bring the end? The Midnight Sanctuary is an occult suspense 3D novel game presenting a tale that can be experienced through either traditional cinematic storytelling or with new VR technology. Giraffe and Annika is a 3D adventure game for PC where you follow along with the cat-eared girl Annika as she explores the mysterious island of Spika. Each dungeon is guarded by a boss Annika will need to defeated through a music-based battle system. The game system and effects are all fully synched with the music. Help Annika find her lost memories through her adventures on the island! Olija is a game about Faraday, a man shipwrecked then trapped in the mysterious country of Terraphage. Armed with a legendary harpoon, he and other castaways are on a quest to leave this hostile country to return to their homelands. Through exploration, narration and combat, the player will discover a strange world and its protagonists, including Olija, an enigmatic lady Faraday is bound to. Created by Tokyo-based developer noname studio, BATTLLOON is a casual four-player brawler that anyone can pick up and play. The rules are simple: knock enemy players into the thorns around the stage to pop their balloons. The last player standing gets a coin and whoever has the most coins at the end of the game is the winner. As if beckoned, she slips out of the manor into a garden. Or is it a riverside? A snowy field? As she asks and is asked, she begins to realize something important. What will the girl find as she travels the world of Psyche-ology? And what way of like will she choose? Witness the girl’s outcome with your 3rd eye. Join the Touhou cast in an an addictive dungeon-searching RPG! Easy to learn and hard to master, Touohou Genso Wanderer Reloaded is fun for players of all skill levels. A side-scrolling bullet hell based on one of the hottest shooting game series to come out of Japan, the Touhou Project! Enemies come at you from all directions with relentless hails of bullets. Fight back with a well-timed Danmaku Rush to tear your way through bullets and enemies alike! Not that great at bullet hell games? That’s okay! We’ve got you covered with a Practice Mode that lets you practice boss fights and a Tutorial Mode that holds your hand and walks you through the basics of how to play a bullet hell shooting game. Join the Touhou Project cast of characters as they defend their shrines from evil fairies! Created by Neetpia, Gensoko Defenders is an exciting action tower defense game that let’s you control 20 of your favorite characters. Use attacks like spell cards and traps to defend against the hordes that threaten your shrines!